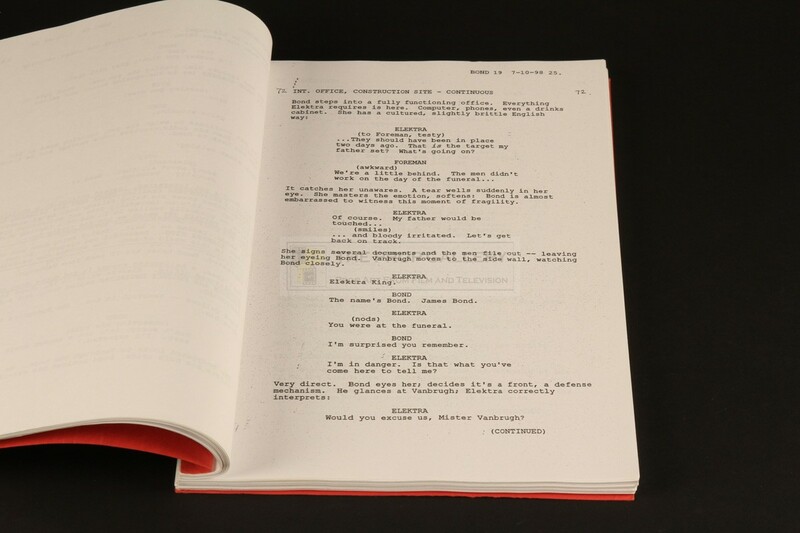 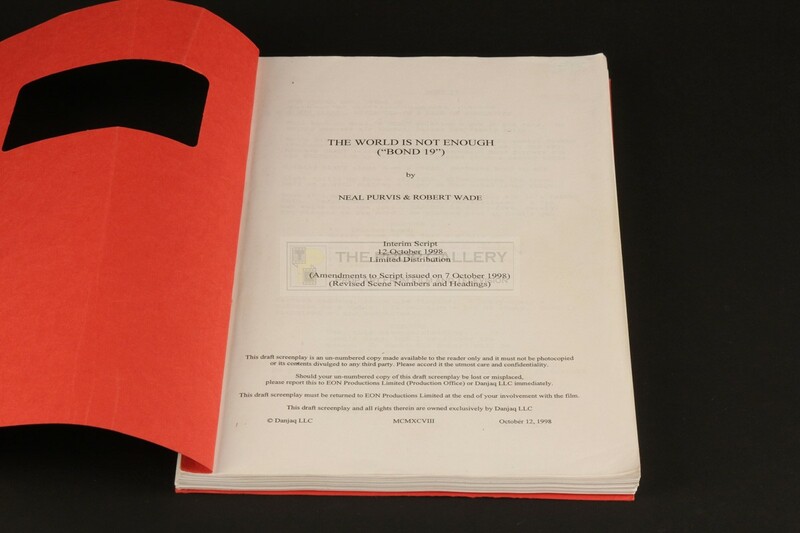 An original script used in the production of the 1999 James Bond picture The World Is Not Enough starring Pierce Brosnan as the suave spy. This original production used limited distribution interim script is dated 12th October 1998 and comprises of 113 pages bound between front and rear covers of red card with the front featuring a window cut out revealing the title of the movie to the interior cover page and hand inscribed 'NICK'. 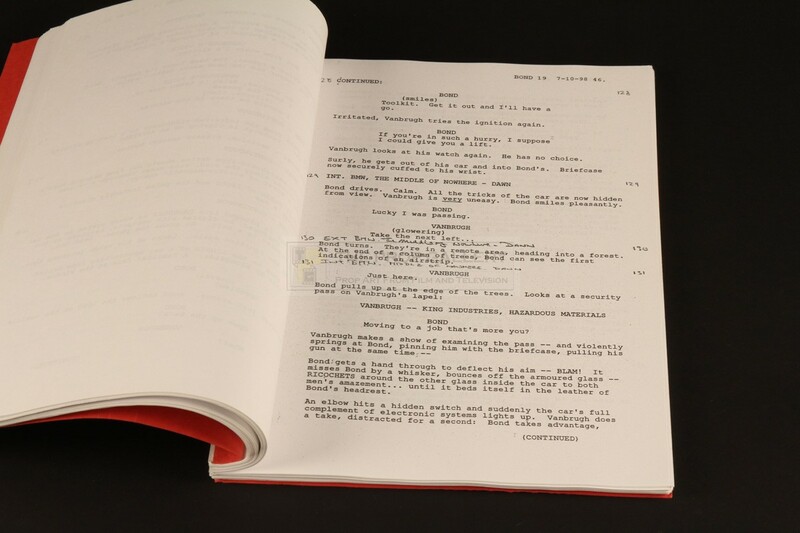 The script remains in excellent production used condition exhibiting only minor toning and cover wear from handling, overall fine. 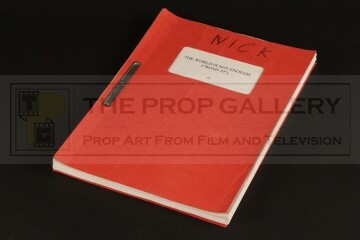 A fine example of original production material from one of the most celebrated franchises in cinematic history.